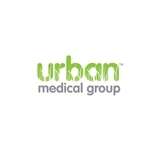 Urban Medical Group PLLC (New York) - Book Appointment Online! Our practice mission is to provide high quality comprehensive holistic care to all of our patients. We are an all inclusive practice, caring for families, children, and adults that wants to work with our patients to develop custom treatment plans and lifestyle modifications that work for our individual patients. We do follow the most current medical guidelines and research, but also feel that each patient is unique and special and should not be treated as a number. We also offer up to date electronic communications to our providers, so we can minimize your stress of dealing with your medical conditions. We hope to see you soon and welcome to our family. Great doctor and very good manner. Quick but thorough. Front office and nurse were very friendly and professional.